Having been rejected by numerous record companies The Specials decided to release a self-financed single. If the legend is to be believed the single was recorded for a mere £700 financed by a ‘sort of’ local businessman by the name of ‘Jimbo’. It is said that a piano part on the track took up most of the studio time and as a result only one track, Gangsters, was recorded. Needing a b-side the band turned to an instrumental track Noel Davis had recorded two years previously in 1977 with drummer John Bradbury and trombonist, Barry Jones. Originally titled ‘The Kingston Affair’ the track got a slight reworking and was re-titled The Selecter. 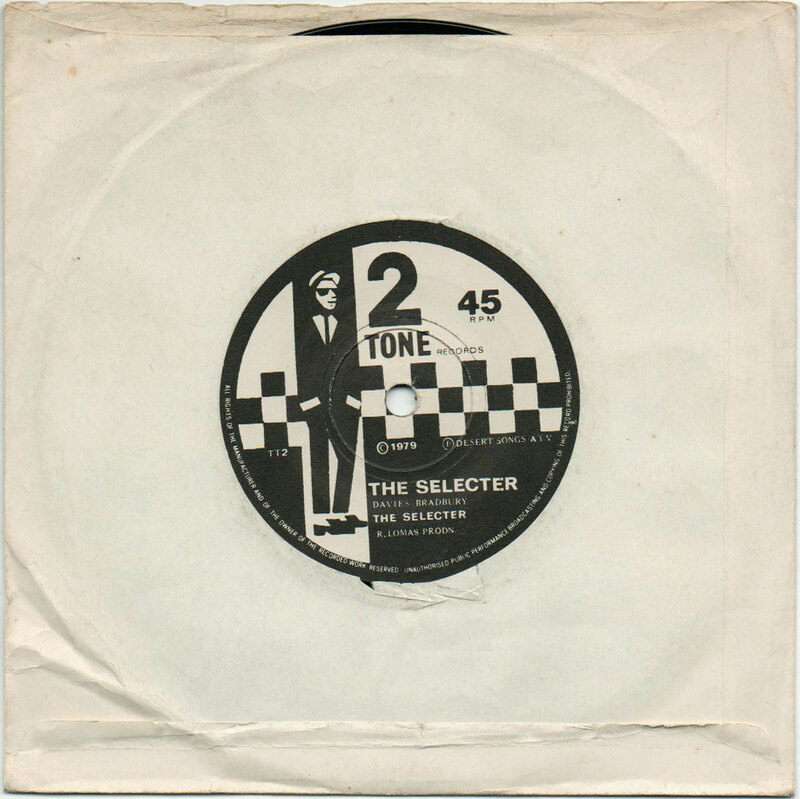 The track also came complete with it's own unique catalogue number, which may seem unusual but was actually quite common with old ska and reggae singles. The single was initially distributed via Rough Trade Records, who persuaded the band to produce 5000 copies, twice what the band had originally intended. The single was issued a plain white sleeve stamped by the band themselves with the words THE SPECIAL A.K.A 'Gangsters' Vs THE SELECTER. The band then signed to Chrysalis Records, who were more than happy to sign both The Specials and the 2 Tone label. Chrysalis pressed up more copies of the single in the now familiar 2 Tone sleeve resulting in a top 10 hit and the biggest selling independent single of the year. 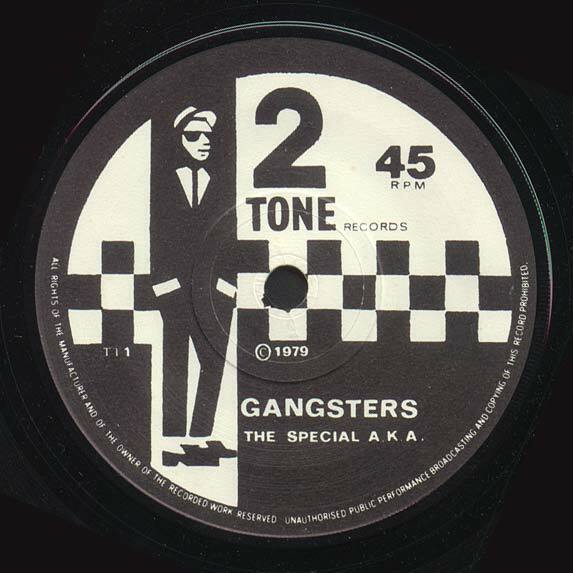 Original Specials drummer Silverton Hutchinson had left the band just prior to the recording of Gangsters and was replaced by John Bradbury, and as a result Bradbury was the only person to play on both sides of the labels debut single.